Product prices and availability are accurate as of 2019-04-08 06:34:48 EDT and are subject to change. Any price and availability information displayed on http://www.amazon.com/ at the time of purchase will apply to the purchase of this product. Cleaning your mouth and the Environment at the same time! 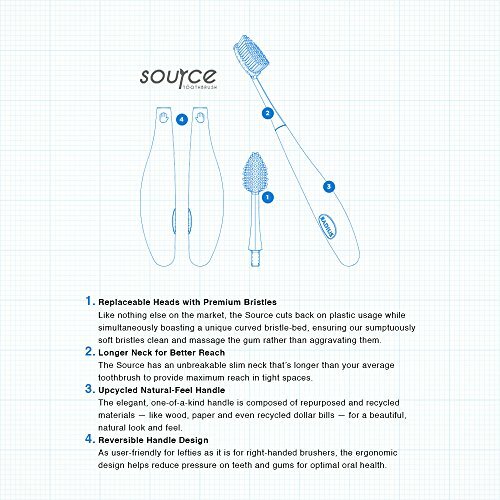 The Source Toothbrush reduces waste by 93% with its re-usable handle made from 50% Recycled Plastic combined with 50% Recycled Natural Fibers. The Source Toothbrush provides an all-over mouth clean that leaves you feeling like you just went to the Dentist. 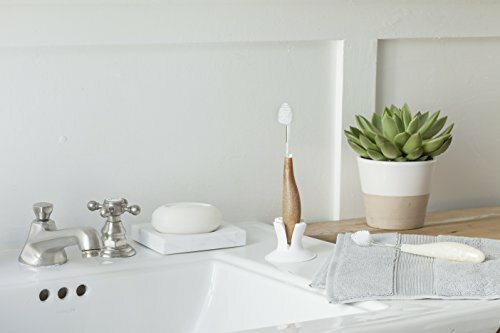 With 4500 premium bristles (200% more), the soft, wide head of fanned out bristles helps improve gum health by massaging sensitive gums while brushing. Healthy gums are proven to help reduce the risk of heart disease. Ordinary toothbrushes are either too hard or too small to massage the gums. The head of the Source was designed to be smaller than other RADIUS toothbrushes in order to target different mouth types and brushing styles. A long, slim, unbreakable neck allows for a longer reach for hard to reach back teeth. The ergonomic handle ensures a relaxed grip that reduces pressure on the teeth and sensitive gum tissue, helping to protect the gumline, reduce receding & bleeding gums and enamel erosion.. Available in various materials like Recycled Wood and Recycled Dollar Bills. Reversible handle allows for both Right and Left-handed brushers. 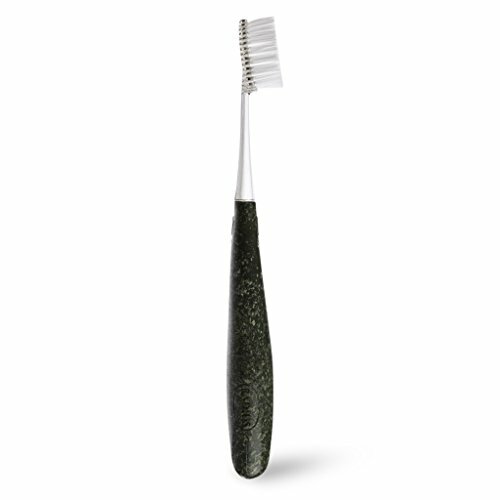 Bristles are 100% Vegetable Based Nylon for a petroleum free option. Product is BPA Free, Latex Free and Phthalates Free. RADIUS is a different kind of company…we evolve the objects used in your daily life: well designed and quality, they can make life easier and add joy to any task while being sensitive to our impact on the environment. RADIUS is the only American Dental Association recommended natural toothbrush brand in the USA. Orthodontist Recommended as great for braces. Top 2 Reasons to Buy from recent RADIUS Customer Survey are “Enjoyable Brushing Experience” & “Superior Clean.” MADE IN THE USA ON RADIUS' OWN SOLAR-POWERED MACHINES. REPLACE and REFRESH: Our Replacement Heads has our signature bed of super-soft, fanned bristles in a swappable pair. Switching one spent head for another instead of purchasing an entirely new toothbrush reduces plastic consumption and waste by 93%. 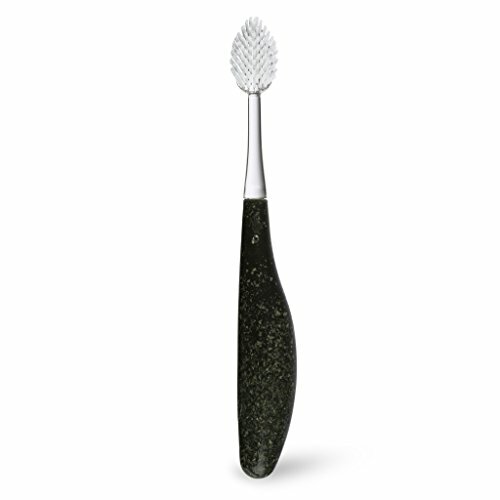 DESIGNED FOR A GENTLE, BUT DEEP CLEAN: The bristles are arranged in an elegant fanned shape, designed to gently yet thoroughly clean and invigorate the entire mouth. 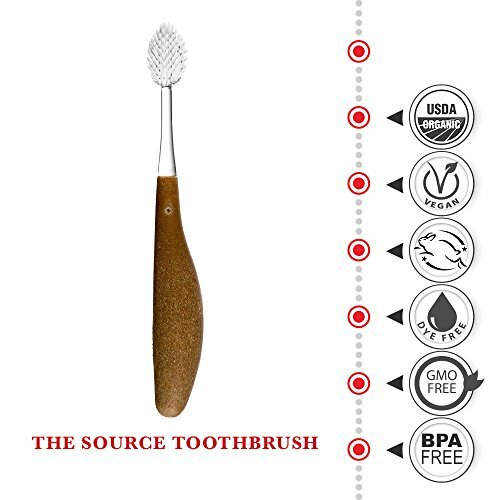 PREMIUM BRISTLES: The soft bristles are made from 100% vegetable-based nylon to reduce our dependence on fossil fuels. Now that is something to smile about! LONGER NECK FOR A BETTER REACH: A long, thin neck makes cleaning tricky-to-reach spots much easier - all the way to the very last molar. 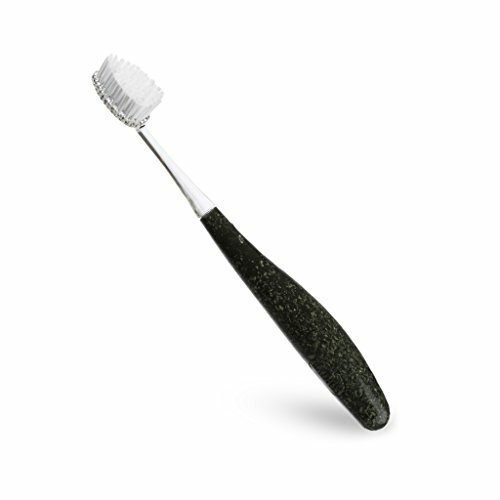 GREAT FOR GUMS: The unique curved bristle-bed ensures our super-soft bristles clean and massage the gum rather than aggravating them.